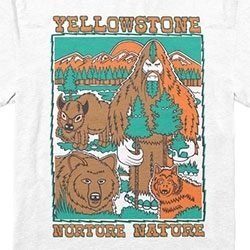 Bigfoot One collab with Parks Project = 3 great shirts supporting Yellowstone, Smoky Mountains, and Yosemite! 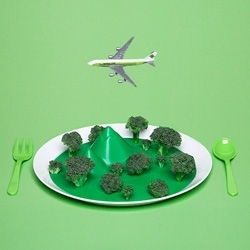 NURTURE NATURE! 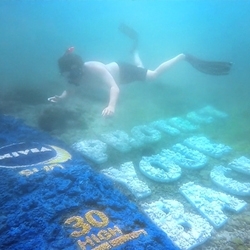 VIDEONIVEA Sun created a handcrafted, custom-made billboard and transformed the ocean floor into a spectacular reminder. 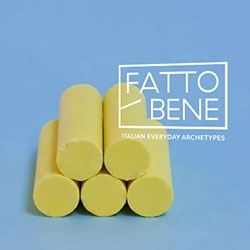 FATTOBENE - Italian Every Day Archetypes. Fatto Bene means well made, and this is a collection of classic Italian products (store in progress). 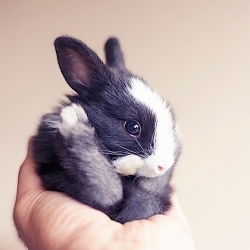 Photo Series: 30 days in the life of a baby rabbit. 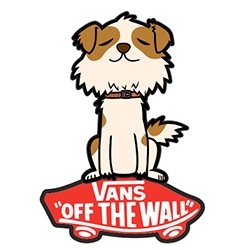 Vans x Murakami - this interesting collaboration is coming soon. 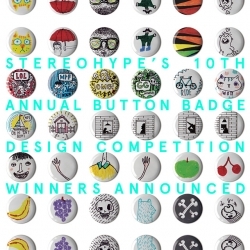 Just released: winners and shortlist with runners-up and stats of Stereohype's 10th anniversary doodles only button badge design competition – bringing the collection to a total of 1030 individual button badge designs by over 300 international talents. The Canvas Hotel, Norway. 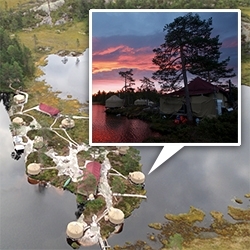 A stunning island of yurts complete with a wheeled beer tap with beer from the local Nøgne Ø.
Woodla, a lacing toy, joins the bleebla collection. Made out of sycamore wood, and burel 100% sheep wool Portuguese handmade fabric. The Alpine Division has a bunch of retro styled packs... and inside they all have a surprising DUCK lining! ... as well as their adorable ducks on the zippers. 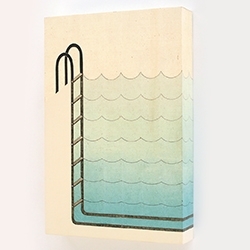 Kristen Martincic's Pool Series is mesmerizing - take a look at her 'in progress' section for a peek behind the scenes too! VIDEOComputational Couture explores digital fashion with 3D modeling and computation-based approaches. 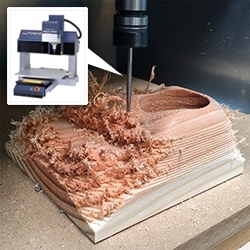 An algorithmic approach loops through design and fabrication by laser cutting and 3d printing the design and production of a garment. 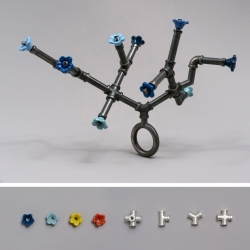 Pipeworks, by Jina Seo, is a collection of 3D printed jewelry that consist of interchangeable modular elements. 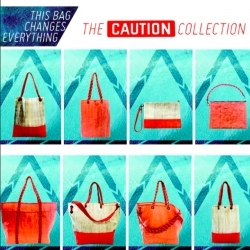 The wearer can customize the designs to their taste. 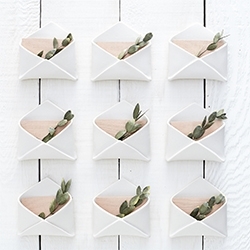 Red Raven Matte Porcelain Envelopes - perfect for place holders, wall hangings, party favors, etc. 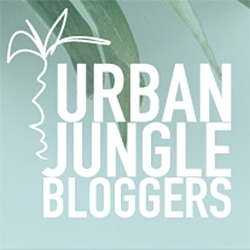 Urban Jungle Bloggers! 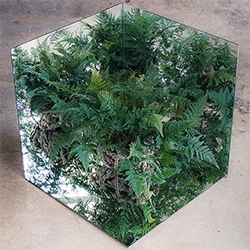 A fun look at the plants and greenery at home from Igor of Happy Interior Blog and Judith of JOELIX. 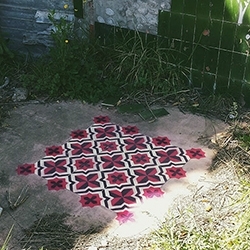 Javier de Riba's spray painted floor graffiti is so fun! 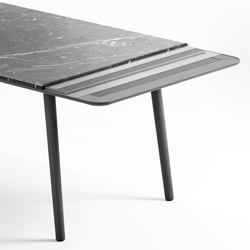 The collaboration between the Basque designer Jean Louis Iratzoki and marble mason Retegui has resulted in the launch of a new design brand of furniture and objects in marble in 2014. 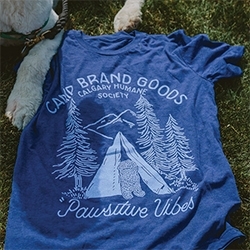 Camp Brand Goods PAWSITIVE VIBES t-shirt for The Calgary Humane Society featuring their adorable sheepdog, Otis! One for all the camping + dog lovers. 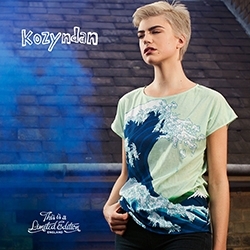 New Limited Edition Ladies T-Shirts from Kozyndan, Junko Mizuno, Kukula, Tom Lewis & other leading contemporary artists. 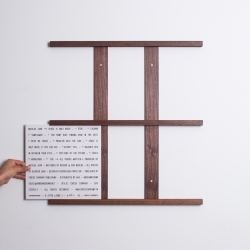 Queue by Harold - Perfect for displaying or queuing your playlist for the night. 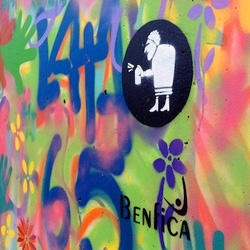 Lata 65 - Grannies graffiti group. 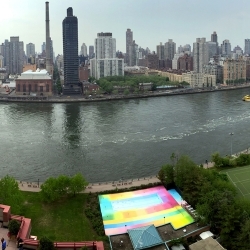 Minnesota-based artist HOT TEA has given a technicolor finish to this swimming pool on New York’s Roosevelt Island. 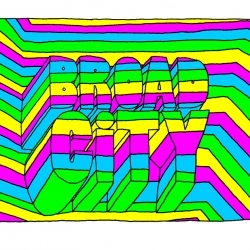 An interview with Mike Perry, the genius behind the Broad City animated intro. 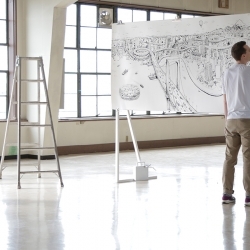 We discuss drawing naked girls, life lessons, and of course Broad City. 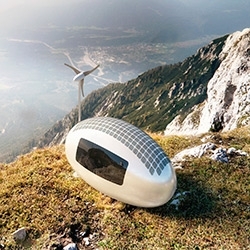 Ecocapsule - a project of a tiny autonomous house by Nice Architects that can comfortably accommodate two adults. 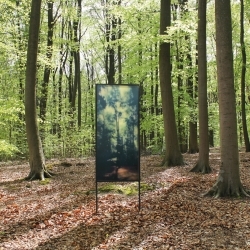 Pieter De Decker made this evolving treescape, recto-verso printed on plexiglass. The artwork shows a constantly changing view of the landscape behind (depending on weather conditions, the position of the sun and the time of day). 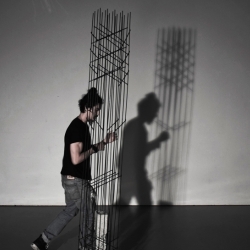 Bram Vanderbeke's Reinforcements: collection of structures inspired by concrete Reinforcements. 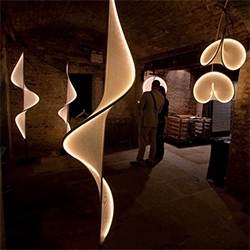 Can be seen as abstract building elements to create spaces within the space. Rewilder - bags and aprons made from beer filter cloth salvaged from large american breweries and climbing rope salvaged from local climbing gyms. Emissary Camera Bag has a fascinating lens cap holder - "The lens cap mount holds 77mm, 72mm, 67mm, 62mm, 58mm, 52mm, 49mm, 46mm, 41mm and 37mm lens caps, and can hold up to three lens caps at one time." 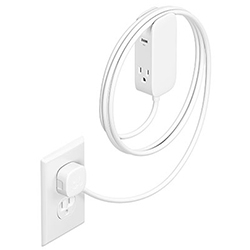 Bluelounge Portiko - a 6-foot extension cord with two outlets and two USB ports, and it's magnetic! Been loving this in NOTlabs - SO useful! 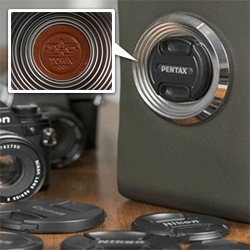 FEATUREDGateway Camping Gear! 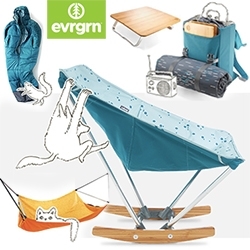 It's the latest genre to follow Glamping and Athleisure... and REI's new evrgrn collection fits perfectly. 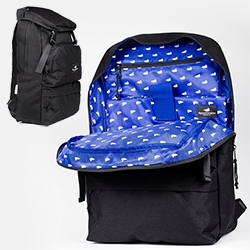 Bright, happy, playful, instagram-ready camping gear that transitions easily from apartment/patio to mountain! One car and four different views at it. 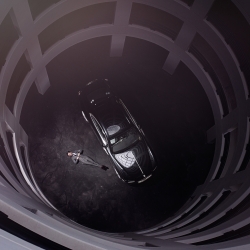 We asked four photographers to show us their idea of the Rolls-Royce Wraith and the results are awesome. 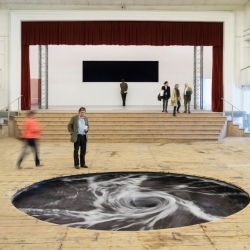 Anish Kapoor returns to Italy with Descension, an exhibition project conceived specially for the former cinema and theatre space of Galleria Continua in San Gimignano. 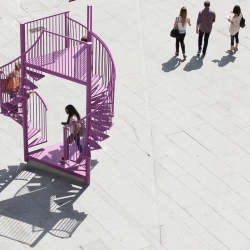 Tripod, new installation by LIKEarchitects, a tribute to stairs and balconies. 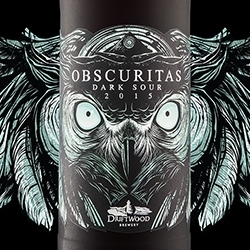 OBSCURITAS Dark Sour, from Driftwood Brewery Bird of Prey series, resting patiently in wooden shadows. Seldom seen, but respected by all life in the backyard, this elusive predator was never captured. 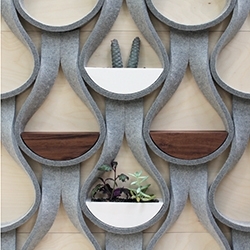 Garman Furniture Felt Droplets - interesting wall covering of felt and wood. 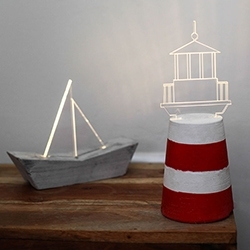 Sturlesi Design's Lighthouse and Boat lights - made of concrete, laser engraved acrylic, and LEDs. 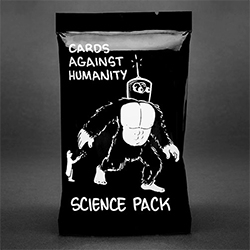 Cards Against Humanity Science Expansion Pack - "a pack about the hit system of knowledge known worldwide as “science.” We wrote it with Phil Plait (Bad Astronomy) & Zach Weinersmith (SMBC)." 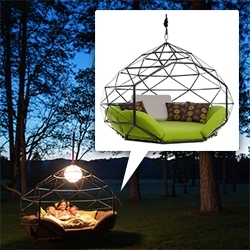 Kodama Zomes - a swinging pod to hang from a tree or free standing structure. 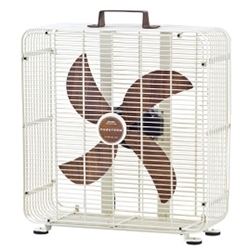 Large enough for multiple people... or even yoga! 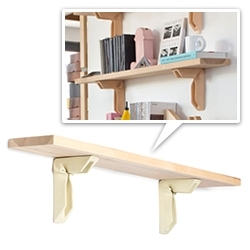 Yield A-frame Shelving Unit - New italic bracket hardware system pairs with standard dimension wood dowels and planks to allow for a range of configurations. 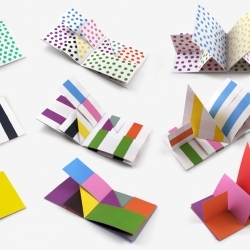 Dots, Lines and Colors, a colorful series of minimal, origami-like books by Spanish graphic artist Antonio Ladrillo. 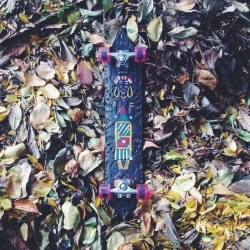 Ethnicruisers, traditional shields repurposed into cruisers, skateboards, longboards. By Jvdadi. 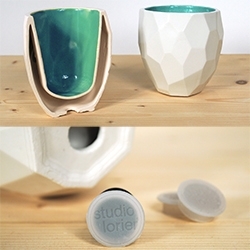 FEATUREDInspiration: Clerkenwell Design Week 2015! A look at everything that caught our eye. 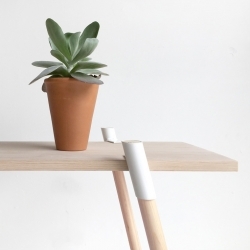 Apparatu Escaire - Shelf brackets made by bending a clay extrusion. 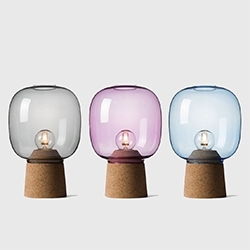 Enrico Zanolla's Picia collection, whose name means tiny in the language spoken in Trieste, is a range of table and suspension lamp designed to merge the process of hand-blown glass and the handmade production on lathe of natural conglomerate cork. Creative crayon business card by canadian artist Dorota Pankowska, a.k.a. Dori the Giant.